Dismissing the challenge against appointment of former Chief Justice of Madhya Pradesh and Allahabad High Court to the post of State Human Right Commission Chairman, the Allahabad High Court said that offering the post to a former Chief Justice is not a badge of servitude or of slavery or an outcome of quid pro quo. Division Bench comprising of Justices Amreshwar Pratap Sahi and Attau Rahman Masoodi, said that the acceptance of such an office, which is not an employment under the Government, by a former Chief Justice is his personal opinion and cannot be a matter of judicial review. 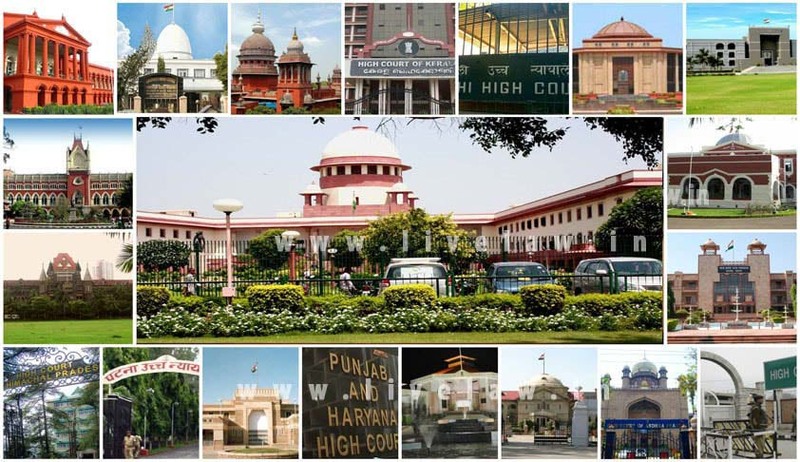 Delhi High Court restrained a website and its owners from using any mark/name comprising of the word, “NAUKRI” as part of their trade name, style or any other manner that is likely to confuse or deceive the public at large into believing that it is connected to popular job portal “NAUKRI.COM” Justice Hima Kohli has granted an ex parte ad interim injunction on a plaint filed by Info Edge and the website is restrained till the day of next hearing. The Madhya Pradesh High Court bench at Indore admitted the petition a law student at Indore seeking reliefs for more than 46 out of 80 people who have lost eyesight on contracting infections from cataract surgeries at a state-sponsored free eye camp held between 16-22 November at District Hospital, Badwani. The High Court on Tuesday activated user accounts of lawyers with an aim to reduce its staff, enabling the lawyers in Madhya Pradesh to directly register fresh cases online on a multipurpose e-filing system on the High Court’s website. The Madurai Bench of Madras High Court on Monday reportedly suspended an earlier order of a Single Judge which had prescribed a dress code for men, women and even children to visit temples maintained by Hindu Religious and Charitable Endowments (HR and CE) Department across the State.